Coesite: Mineral information, data and localities. For Loring Coes Jr. (1915-1978), American chemist who first synthesized it. A high-pressure modification of SiO2. Stishovite 3 photos of Coesite associated with Stishovite on mindat.org. Magadiite 3 photos of Coesite associated with Magadiite on mindat.org. Kenyaite 3 photos of Coesite associated with Kenyaite on mindat.org. Quartz 2 photos of Coesite associated with Quartz on mindat.org. Garnet Group 2 photos of Coesite associated with Garnet Group on mindat.org. Omphacite 1 photo of Coesite associated with Omphacite on mindat.org. Kyanite 1 photo of Coesite associated with Kyanite on mindat.org. Zoisite 1 photo of Coesite associated with Zoisite on mindat.org. Ellenbergerite 1 photo of Coesite associated with Ellenbergerite on mindat.org. Pyrope 1 photo of Coesite associated with Pyrope on mindat.org. 4.DA.25 Melanophlogite 46SiO2 · 6(N2,CO2) · 2(CH4,N2) Tet. 7.8.7 Silhydrite 3SiO2 · H2O Orth. Chao, E.C.T., Shoemaker, E.M., Madsen, M.M. (1960) First natural occurrence of coesite. Science: 132: 220-222. Fleischer, M. (1960) New mineral names - coesite. American Mineralogist: 45: 1313. Sclar, C.B., Carrison, L.C., Schwartz, C.M. (1962) Optical crystallography of coesite. American Mineralogist: 47: 1292-1302. Fahey, J.J. (1964) Recovery of coesite and stishovite from Coconino Sandstone of Meteor Crater, AZ. American Mineralogist: 49: 1643-1647. Bohn, E., Stöber, W. (1966) Coesit und Stishovit als isolierte natürliche Mineralien. Neues Jahrbuch der Mineralogie: 89-96. Holm, J.L., Kleppa, O.J., Westrum, E.F. (1967) Thermodynamics of polymorphic transformations in silica. Thermal properties from 5 to 1070°K and pressure-temperature stability fields for coesite and stishovite. Geochimica et Cosmochimica Acta: 31: 2289-2307. Zeitschrift für Kristallographie: 145: 108-123. Bohlen, S.R., Boettcher, A.L. (1982) The quartz-coesite transformation: a precise determination and the effects of other components. Journal of Geophysical Research: 87(B8): 7073-7078. Zhang, J., Li, B., Utsumi, W., Liebermann, R.C. (1996) In situ X-ray observations of the coesite-stishovite transition: reversed phase boundary and kinetics. Physics and Chemistry of Minerals: 23: 1-10. Mosenfelder, J.L., Bohlen, S.R. (1997) Kinetics of the coesite to quartz transformation. Earth and Planetary Science Letters: 153: 133-147. Gibbs, G.V., Boisen, M.B.,Jr., Rosso, M., Teter, D.M., Bukowinski, M.T. (2000) Model structures and electron density distribution for the silica polymorph coesite at pressure: An assessment of OO bonded interactions. Journal of Physical Chemistry: B: 104: 10534-10542. Mosenfelder, J.L. (2000) Pressure dependence of hydroxyl solubility in coesite. Physics and Chemistry of Minerals: 27(9): 610-617. Pabst, W., Gregorová, E. (2013) Elastic properties of silica polymorphs - a review. Ceramics - Silikáty: 57: 167-184. Ohtani, E., Ozawa, S., Miyahara, M., Ito, Y., Mikouchi, T., Kimura, M., ... & Hiraga, K. (2011). Coesite and stishovite in a shocked lunar meteorite, Asuka-881757, and impact events in lunar surface. Proceedings of the National Academy of Sciences, 108(2), 463-466. Kubel, S. Argyle Diamond Mine–Geology and Mining of the AK1 Pipe, Kimberley region, Northwest Australia. Kaminsky, F. V., Ryabchikov, I. D., & Wirth, R. (2015). A primary natrocarbonatitic association in the Deep Earth. Mineralogy and Petrology, 1-12. Petrík, I., Janák, M., Froitzheim, N., Georgiev, N., Yoshida, K., Sasinková, V., Konečný, P. & Milovská, S. (2016): Triassic to Early Jurassic (c. 200 Ma) UHP metamorphism in the Central Rhodopes: evidence from U-Pb-Th dating of monazite in diamond-bearing gneiss from Chepelare (Bulgaria). Journal of Metamorphic Geology, 34, 265-291. Donnelly, C. L. et al. (2007): Lithos 98, 160-176. American Mineralogist, Volume 87, pages 875-881, 2002, KAI YE et al. "Ultrahigh-pressure (UHP) low-Al titanites from carbonate-bearing rocks in Dabieshan-Sulu UHP terrane, eastern China". Wu, Xiuling, Dawei Meng, and Yujing Han (2005), α-PbO2-type nanophase of TiO2 from coesite-bearing eclogite in the Dabie Mountains, China: American Mineralogist: 90: 1458-1461. Yilin Xiao, Hoefs, J., van den Kerkhof, A.M., Fiebig, J., and Yongfei Zheng (2000): Contributions to Mineralogy and Petrology 139, 1-16. A.I. Okay et al. , Eur. J. Mineral. , 1989, 1, pp. 595-598. Aral, I. (1993). Petrology of a diamond and coesite-bearing metamorphic terrain: Dabie Shan. China. Eur. J. Mineral, 5, 659-675. Ruyuan Zhang and Liou, J.G. (1994): European Journal of Mineralogy 6(2), 217-233. Yuanbao Wu, Shan Gao, Hongfei Zhang, Saihong Yang, Wenfang Jiao, Yongsheng Liu, and Honglin Yuan (2008): Contributions to Mineralogy and Petrology 155, 123-133. Chen, J., Lee, J., and Jun, W. (2000) Native titanium inclusions in the coesite eclogites from Dabieshan, China. Earth Planet. Sci. Lett. : 177: 237–240. ; Jambor, J.L. and Roberts, A.C. (2001) New mineral names. American Mineralogist: 86: 197-200.; Lü, G., Chen, J., Ding, T., Li, X., Wang, F., and Li, R. (2001) Depth of coesite-bearing eclogite formation, Dabie UHPM zone, China, based on structure stress correction. Journal of Geosciences of China: 3(1): 1-12. Yilin Xiao, Zheming Zhang, Hoefs, J., and van den Kerkhof, A. (2006): Contributions to Mineralogy and Petrology 152, 443-458. Chen, M., Yin, F., Li, X., Xie, X., Xiao, W., & Tan, D. (2013). 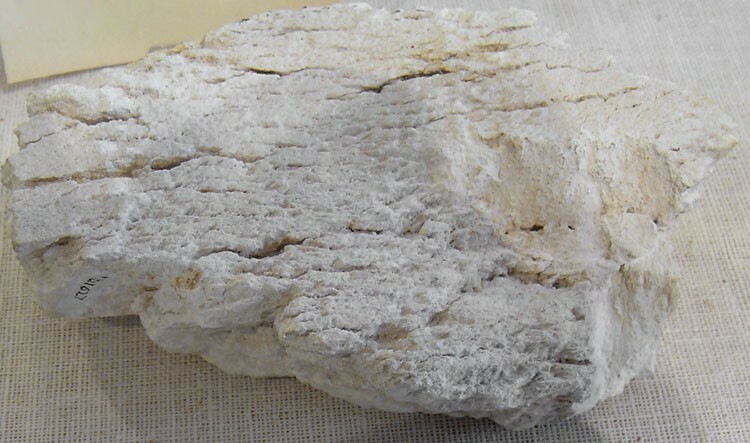 Natural occurrence of reidite in the Xiuyan crater of China. Meteoritics & Planetary Science. ; Chen, M., Shu, J., Xie, X., & Tan, D. (2018). Maohokite, a post‐spinel polymorph of MgFe2O4 in shocked gneiss from the Xiuyan crater in China. Meteoritics & Planetary Science. Mattinson, C.G., Wooden, J.L., Liou, J.G., Bird, D.K., and Wu, C.L. (2006): American Journal of Science 306, 683-711. Hongrui Fan, Jinghui Guo, Fangfang Hu, Xuelei Chu, and Chengwei Jin (2005): Acta Petrologica Sinica 21(4), 1125-1132. Science, Vol. 278, 24 Oct. 1997, pp. 701-707. Wuyi Wang (1998): Earth and Planetary Science Letters 160(3/4), 831-843. Robinson, P.T., Jingsui Yang, Wenji Bai, and Qingsong Fang (2006): 3rd Annual Meeting of the Asia Oceania Geosciences Society (AOGS), July 10-14, 2006, Abstract 59-SE-A0857. Zhang Anda, Liu Liang, Sun Yong, Chen Danling, Wang Yan, and Luo Jinhai (2004): Chinese Science Bulletin 49(23), 2527-2532. Maria Perraki & Shah Wali Faryad (2014): First finding of microdiamond, coesite and other UHP phases in felsic granulites in the Moldanubian Zone: Implications for deep subduction and a revised geodynamic model for Variscan Orogeny in the Bohemian Massif. Lithos 202-203, 157-166. Kotková, J., O’Brien, P. J., & Ziemann, M. A. (2011). 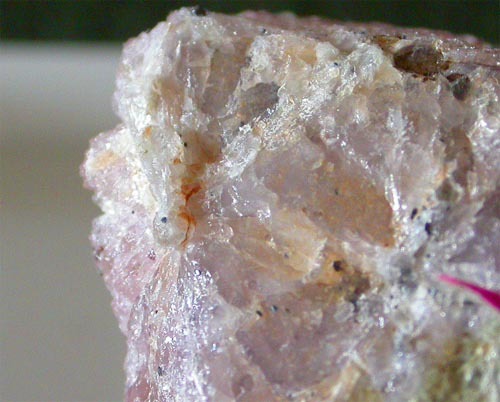 Diamonds in the Bohemian Massif—evidence for ultrahigh-pressure metamorphism. Geologické výzkumy na Morave a ve Slezsku 18, 1, 35-38. Gian Paolo Sighinolfi, Chiara Elmi, Romano Serra, and Gabriele Contini (2014): High density silica phases as evidence of small-scale hypervelocity impacts: the Gebel Kamil Crater (Egypt). Periodico di Mineralogia 83, 299-312. Lehtinen, Martti 1976. Lake lappajärvi, a meteorite impact site in western Finland. Geological Survey of Finland Bulletin 282. Stähle, V., Altherr, R., Koch, M., and Nasdala, L. (2008): Contributions to Mineralogy and Petrology 155, 457-472. Boamah, D., & Koeberl, C. (2006). Petrographic studies of “fallout” suevite from outside the Bosumtwi impact structure, Ghana. Meteoritics & Planetary Science, 41(11), 1761-1774. T. Hirajima and R. Compagnoni : "Petrology of a jadeite-quartz-almandine-phengite fels with retrograde ferro-nyböite from the Dora-Maira Massif, Western Alps", Eur. Journ. Mineral., 1993, 5, pp 943-955. Ogasawara, Y., Fukasawa, K., & Maruyama, S. (2002). Coesite exsolution from supersilicic titanite in UHP marble from the Kokchetav Massif, northern Kazakhstan. American Mineralogist, 87(4), 454-461. Pang, R. L., Zhang, A. C., Wang, S. Z., Wang, R. C., & Yurimoto, H. (2016). High-pressure minerals in eucrite suggest a small source crater on Vesta. Scientific reports, 6, 26063. Weisberg, M.K. & Kimura, M. (2010). Petrology and Raman spectroscopy of high pressure phases in the Gujba CB chondrite and the shock history of the CB parent body. Meteoritics & Planetary Science Volume 45, Issue 5, pages 873–884. (May 2010); Weisberg, M. K.; Kimura, M.; Suzuki, A.; Ohtani, E.; Sugiura, N. (2006). 37th Annual Lunar and Planetary Science Conference, March 13-17, 2006, League City, Texas, abstract no.1788. (March 2006). Shohei Kaneko, Eiji Ohtani, Masaaki Miyahara, Takeshi Sakai, Masahiro Kayama, Hirotsugu Nishido, Yasuo Oishi, Naohisa Hirao (2011) Dynamic event recorded in a lunar meteorite NWA 4734. Japan Geooscience Union Meeting Makuhari, Chiba Japan. ; Wang, Y., & Hsu, W. (2016). Shock-Induced Metamorphism in the Lunar Meteorite Northwest Africa 4734. LPI Contributions, 1921. Root, D.B. Hacker, B.R. Gans, P.B. Ducea, M.N. Eide, E.A. & Mosenfelder, J.L. ( 2005): Discrete ultrahigh-pressure domains in the Western Gneiss Region, Norway: implication for the formation and exhumation. Journal of Metamorphic Geology. 23, 45-61. Carswell, D. A., Brueckner,H. K.,Cuthbert, S. J.,Mehta, K. & O'Brien,P. J. (2003): The timing of stabilisation and the exhumation rate for ultra-high pressure rocks in the Western Gneiss Region of Norway. Journal of Metamorphic Geology. 21, 601-612. Smith, D.C. (1984): Coesite in clinopyroxene in the Caledonides and its implication for geodynamics. Nature, 310, 641-644. Argunov, K. P., 1990, Inclusions of potassic phases, coesite and omphacite in a coated diamond crystal from the Mir pipe: Dokl. Akad. Nauk SSSR, v. 310, p. 129-140.
http://www.unb.ca/passc/ImpactDatabase/images/vredefort.htm Cairncross, B. and Dixon, R., (1995) Minerals of South Africa. The Geological Society of South Africa. Westerlund, K. J., & Gurney, J. J. (2004). Silicate and oxide inclusion characteristics and infra-red absorption analysis of diamonds from the Klipspringer kimberlites, South Africa. South African Journal of Geology, 107(1-2), 131-146. Ruiz-Cruz, M. D., & De Galdeano, C. S. (2012). Diamond and coesite in ultrahigh-pressure–ultrahigh-temperature granulites from Ceuta, Northern Rif, northwest Africa. Mineralogical Magazine, 76(3), 683-705. Klonowska, I., Janák, M., Majka, J., Petrik, I., Froitzheim, N., Gee, D. G., & Sasinková, V. (2017). 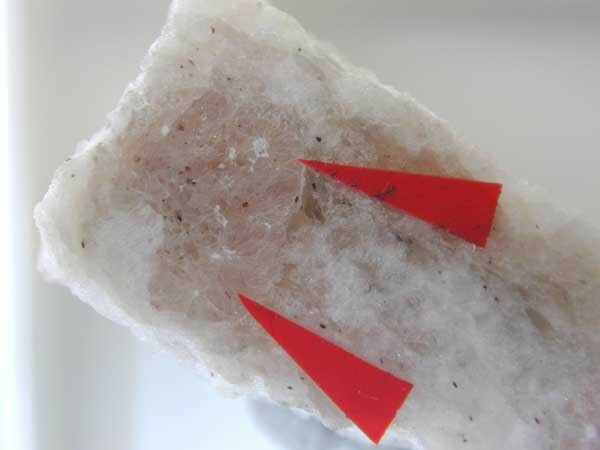 Microdiamond on Åreskutan confirms regional UHP metamorphism in the Seve Nappe Complex of the Scandinavian Caledonides. Journal of Metamorphic Geology, 35(5), 541-564. Anthony, J.W., et al (1995), Mineralogy of Arizona, 3rd.ed. : 180; Chao, E.C.T., et al (1960), First natural occurrence of coesite, Science: 132: 220-222.